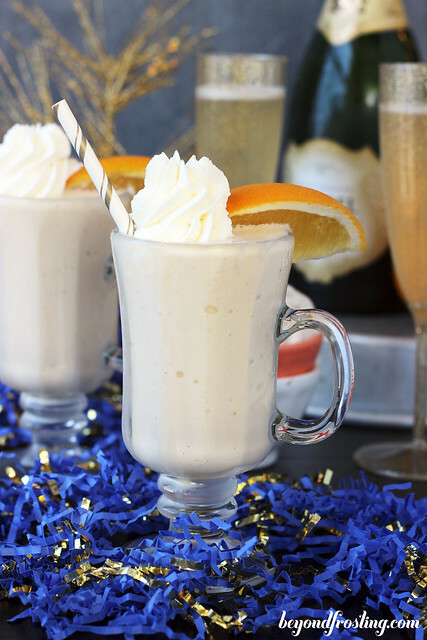 A vanilla milkshake made with orange juice and champagne creates a bubbly milkshake that will leave you wanting seconds. 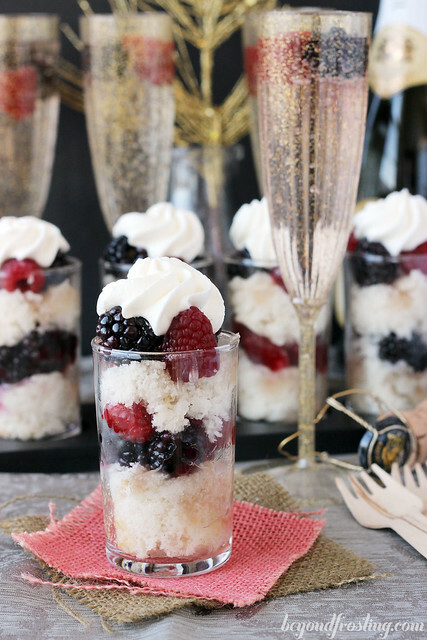 Serve them in a shot glass for the perfect New Year’s Eve Dessert! Before we talk about one of the best desserts that I have published on my blog, I want to say THANK YOU! Over the past month I have been participating in the Better Homes and Gardens Ultimate Baking Challenge. My final recipe for Cranberry Orange Pound Cake with a Champagne Glaze was in the final four vote off. I just learned yesterday that I actually won! I am beyond excited. This has been an amazing experience. Thank you to all of you who have voted and supported me! I fell a little off schedule this week, we had our office party and I had to make all the desserts! Then the next day, I went to the office party and had so much fun that I fell asleep at 7pm- oops! Ok, let’s get to the point, I have not been so excited about a dessert in a long time. 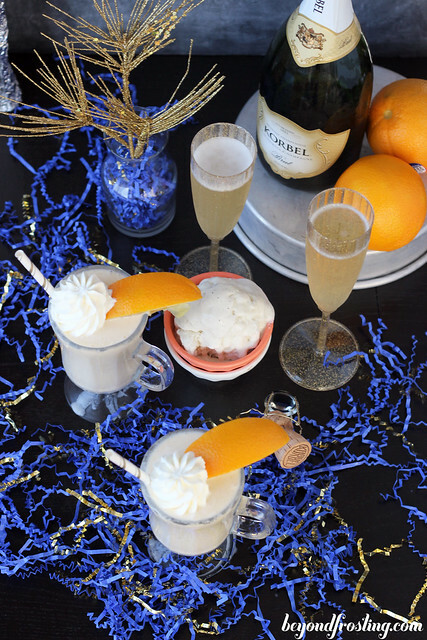 Last weekend, I made this Mimosa Milkshake. I took one sip, and I was jumping around the kitchen with excitement. Do you all know what an Orange Julius is? That is the best way to describe this milkshake. 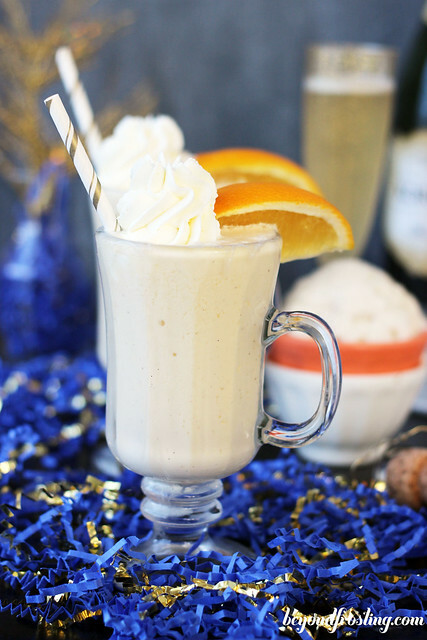 A boozy Orange Julius. 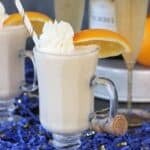 I have been telling my friends about this Mimosa Milkshake and they raise an eyebrow, wondering how it can be both a milkshake and a mimosa at the same time. 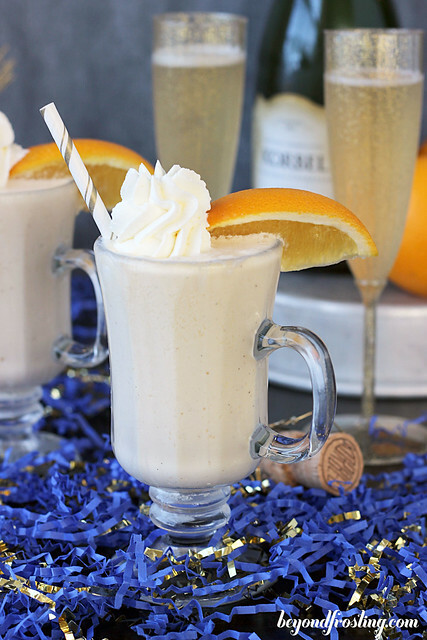 This is made with vanilla ice cream, orange juice and champagne. 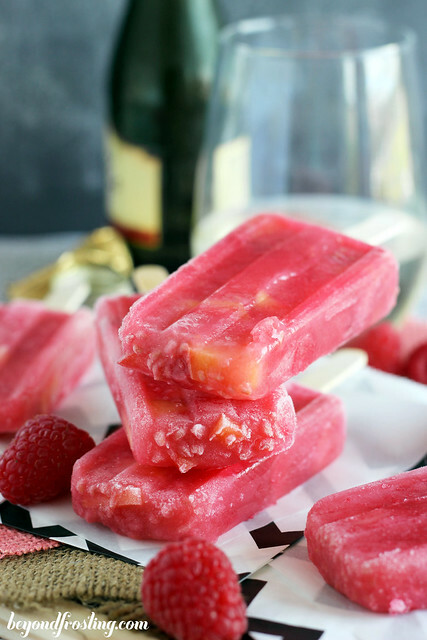 This combination creates a bubbly, thick and luxurious treat. My second favorite thing about this milkshake? It’s got an orange infused whipped cream on top. 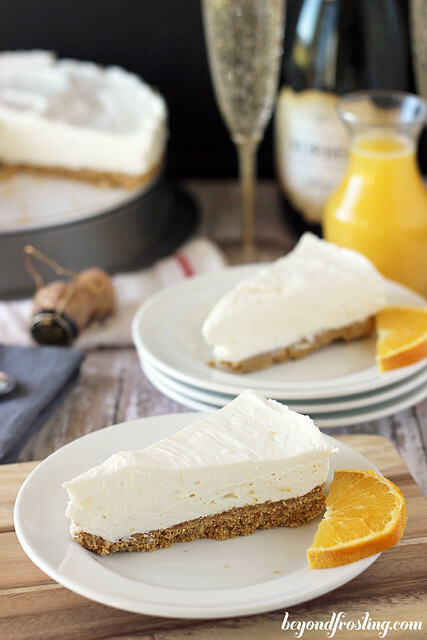 You know how much I love homemade whipped cream, well this is just the perfect compliment this dessert. I have to tell you, I can’t take credit for this idea. I actually saw it on a menu from a local restaurant called The Counter. As soon as I saw their menu of boozy shakes, I knew this would be the first one I would recreate. Not only did I polish off one of these milkshakes, but I enjoyed the leftover champagne and orange juice. 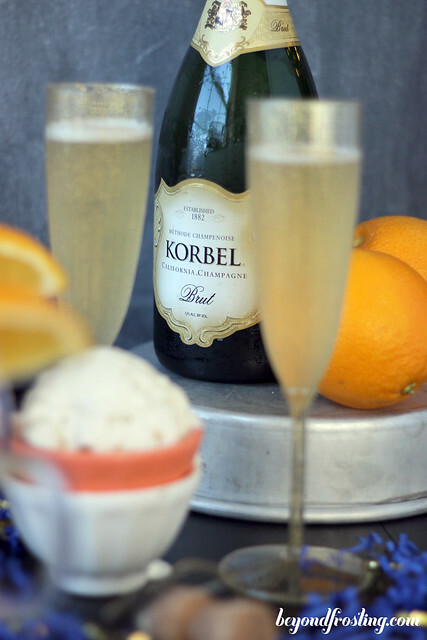 This was the last of 6 recipes that I shot in the same day, so I feel it was well deserved! This recipe is enough for about 2 and half large shakes. 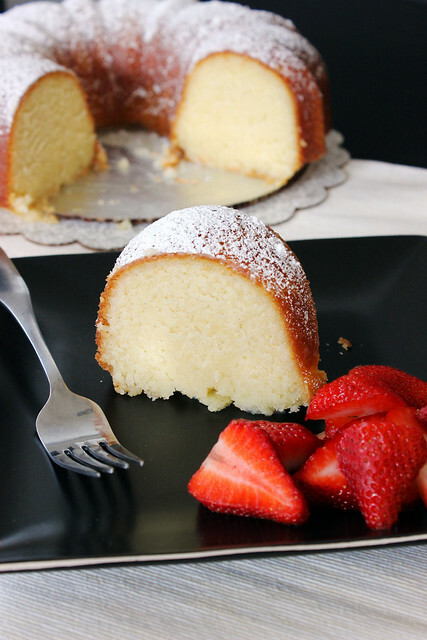 You will probably want seconds, so go ahead and make a whole batch. You won’t be sorry! 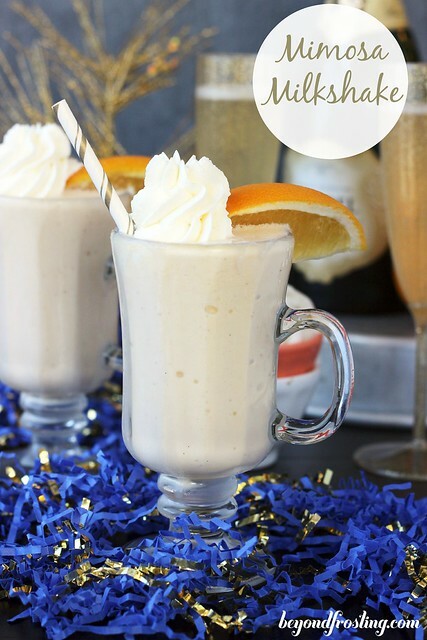 A vanilla milkshake made with orange juice and champagne create a bubbly milkshake that will leave you wanting seconds. 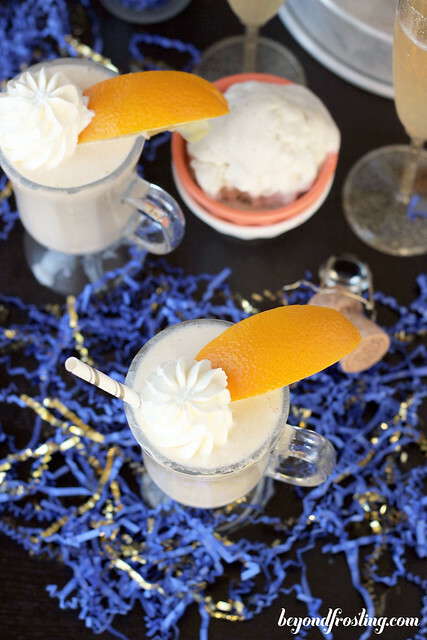 In a blender, combine vanilla ice cream and orange juice. Pulse until lightly blended. Add champagne and pulse until well blended. I suggest to pre-freeze glasses!